Facebook's Sigma system is a Haskell platform used by many different teams, mainly (but not exclusively) for fighting abuse on Facebook. One of Sigma's key features is that code committed to its repository automatically gets deployed to the running servers. When you're shipping code in this way, hundreds of times per day, a number of challenges arise. For example, one technical challenge is ensuring that your running systems can hot-swap a new version of the code on the fly with zero downtime. Not all of the challenges are purely technical though - for example, you have to ensure that your workflows have sufficient safeguards in place so that when the code is automatically deployed, you have confidence that it won't cause problems. In this talk, Simon will cover these challenges and the methods employed at Facebook to solve them. Simon Marlow is a Software Engineer at Facebook in London. 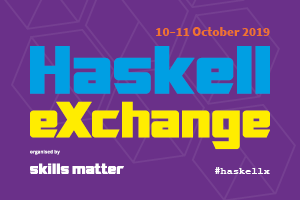 He is working on Haxl, a Haskell-based domain-specific language that is used by the teams fighting spam and malware. Simon is a co-author of the Glasgow Haskell Compiler, author of the book “Parallel and Concurrent Programming in Haskell”, and has a string of research publications in functional programming, language design, compilers, and language implementation.